Did you know the name “Harper” has Scottish origins and means “pleasant and brave”? Well that describes me perfectly and couldn’t be more fitting! 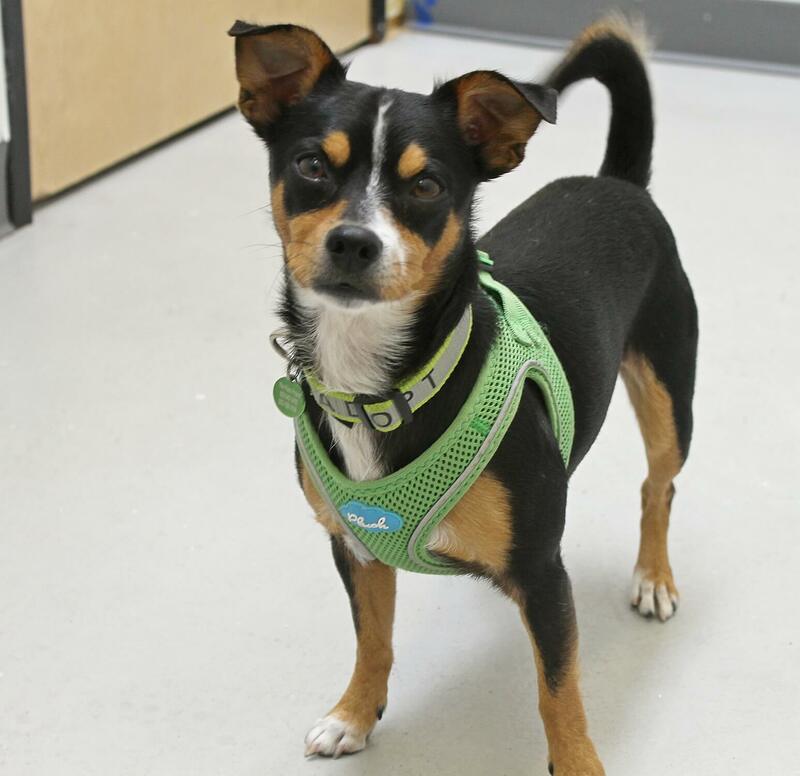 I am a 3 year old terrier mix of some sort weighing in at around 13lbs. I am very friendly, spunky, and outgoing guy whose silly antics are sure to entertain. 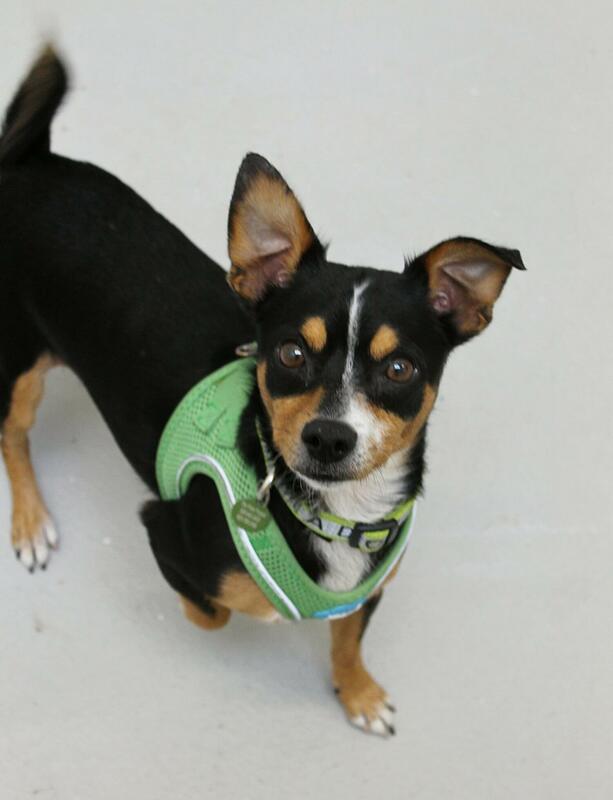 Whether it’s playing some fetch in the play yard or taking an afternoon walk with a volunteer, I really enjoy staying active and would be an excellent hiking companion or could even learn to be your running buddy! Where ever you want to go, I will be close behind! In fact, I really enjoy people the most and am eager to bond with my human pals over 12. I have met some doggy pals at Pixie, but I am not a huge fan and just ignore them. I don’t have that tough guy attitude or anything like that, but it’s more that other dogs are “eh” and I would like to move to the side of the room where they are not if you catch my drift. Same goes for those kitties too. I think I just want to be your shining star! Being a terrier, I am very smart and food motivated which helps with training as I learn some of the basics. Intelligent, fun, playful and too cute to boot, I am ready to start our adventures today! Fill out an application, so we can meet. I come to you neutered, vaccinated, micro-chipped with an adoption fee of $350.